Vampire Camille is still running around killing people for funsies and Cartoon-Villain Vinc- waait a minute, was his name Victor or Victor? Bugger, Victor now I’ve got to find and replace this whole damn review. Back to the Clave and we have Clary/Jocelyn drama. They’re still fighting but Jocelyn is being banished to Idris on account of not being trusted (because, y’know, the relationship with Valentine, hiding they had children and stealing one of the Clave’s most precious artefacts and hiding it for several years… actually far be it from me to defend Cartoon Villain Victor but she doesn’t actually look all that trustworthy. I think I’d ship her off to a different content as well). She wants Clary to come with. Clary is not a fan of that because different continent and all and she hasn’t finished pouting over her mother and Reasons. Luke, really, no. This lady’s not good for you Luke, and no amount of playing the Nice Guy is going to get you true love. And can we have one minority on this show who doesn’t exist to selflessly sacrifice and pledge their service to others? It’s tiresome and unpleasant. 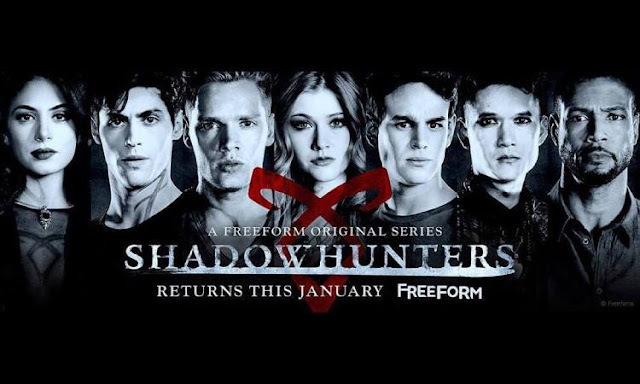 Once in the Institute it starts getting the Shadowhunters to kill each other, cutting a nice swathe through the extras, injuring characters which are a bit more important before possessing Alec (the Shadowhunters respond to a monster that can possess them by wandering around alone. Of course they do. Possessed Alec kills Jocelyn which nicely solves any more conflict from Clary over whether she has to go to Idris or not. It also spares us any more scenes of Clary trying to act with her mother because ye gods those are agonising. Now if something can eat Jace? I’m going to have to start drinking watching this show.